Toward this end, the provincial government has established the Albay Eco-nautical Tourism Office as the strategic flagship for its blue economy line. 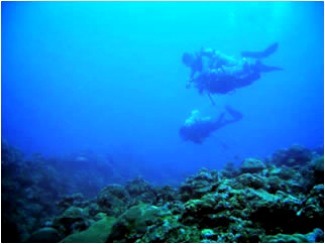 The office counts on the expertise of marine scientists, diving enthusiasts and island development specialists. Albay Gov. Joey Salceda, speaking at the Blue Lane launching on March 23, said the program focuses on the oceans as ‘development spaces’ providing a substantial portion of the global population with food, livelihood and means of transport for 80 percent of world trade. Fired up by its 66 percent tourism growth last year, the Blue Lane aims to further enhance Albay’s recent tourism gains and at the same time solve coastal poverty through sustainable development, pioneered four years ago by its Coastal Resource Agri Bio-System Development Program Strategy or CRABS++. CRABS also stands for Albay’s four main islands on its Pacific Ocean side, where the project originated -- Cagraray, Rapu-rapu, Batan and San Miguel. The new Albay Eco-nautical Tourism Office is housed at the Albay Provincial Capitol building annex. Tourism Assistant Secretary Benito Bengzon, who was guest at the opening of Daragang Magayon Festival last March 24, said Albay has emerged as the country’s tourism powerhouse, with its natural richness and strong sales pitch that brought in some 800,000 foreign and local tourists for an astounding 66 percent growth in 2013. During the recent Philippine Economic Briefing at the Philippine International Convention Center in Manila, Tourism Secretary Ramon Jimenez Jr. said his department is betting on Albay to lead the next big tourism wave in the country. The Blue Lane Eco-Nautical Tourism package takes pride in six key attractions -- the submerged Coral Rosary in the resort town of Santo Domingo, the San Miguel Marine Sanctuary of Tabaco City, the 27 Dive Sites of Albay Gulf, Love Boat Tours around the San Miguel-Sula Channels in Cagraray Island, the Ticao Island Dive Sites, and the Butanding Interaction in Albay Gulf.